A help desk is an information and resource that troubleshoots problems with computers or similar products. Help Desk software offers an integrated solution for trouble ticket tracking, asset management, SLA management, purchase management, contracts management, self-service portal management, and knowledge management -- all in a easy to use package, to help you have a full fledged IT help desk and a productive Staff. Issue Tracking: This is used to track any tasks to have a solution. Reporting: Includes reports and charts to inform instantly. Email Submissions: It allows users to submit and update their work status by rising ticket through email. Email Notification: Users are kept up to date of the status of their work. Customization of notification can be done. Network Workstation Audit: It is a workstation which gathers the information from network computers into helpdesk database. It helps in emergency times of large support requirements. It prefers Interactions across all channels in real time. It helps in customer management. Helps in managing the sales in every step. Messages can be sent by rising tickets through a single click. Allows a customer to have multiple contacts. Helpdesk supports world wide data reply. It can be accessed by a business and technical person from anywhere. Online shopping is a process where consumers purchase goods or receive any services from the shopper through online without any mediator’s in-between over the internet. This process is a form of electronic transaction. The process is called as business to consumer (B2C). Customer can view there shopping order history and details of products purchased. Customer receives a confirmation email when they place an order, and when their order status changes. Password remainder feature for customer. Customer can ship their products to his/her relations by a single click to different places. 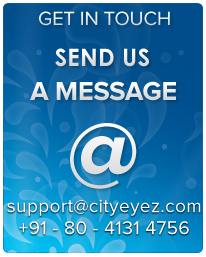 “Contact us” script is placed to send enquiries through mail from your store. Unlimited number of products, categories and options. Discounts can be given based on the product. Single product can have a link of multiple categories and options. There is a support for product rating and the reviews per product. You can test and troubleshoot your installation. Online help can be processed. You can upload your products and images. Any updations can be made. Shipping rates can be calculated by weight or fixed rates. Activation/deactivation can be given for each customer. Project management is a way of planning, organizing and managing resources to reach the goals of a specific project. It is a technical way of tracking the development of a project step by step. Your clients will be given a user name & a password which will be disabled once the development of project is closed. They can view the status of all the works of their project. They can view the pending status of the work. What is the problem faced by the to finish their project. Project Dashboard: Every client can know the track of their project. He can view all the status of his project is working or not. This project dashboard helps to keep all the details of tasks processed. Time Tracking: This helps in tracking the time taken to update the works. This keeps all the work time up to date. Expense tracking: This provides the details of how much of expense is done for the work like man power, materials, office expenses etc… Using this expense tracker informs you that are you still under your budget or not. Risks, Issues, changes: If you need to manage risks, issues and changes carefully. This software allows you to track them day-by-day, so that you can quickly resolve them before they impact on your deadlines. Online storage: You can save your files, documents and reports in many no’s and access them anywhere, anytime. Security: It is very important that your project should be safe and secure. It helps to store your project in safe and secure manner.